It was going to be a Valentine post but somehow I missed the deadline. Never mind I think we deserve nice cakes on any other days as well. 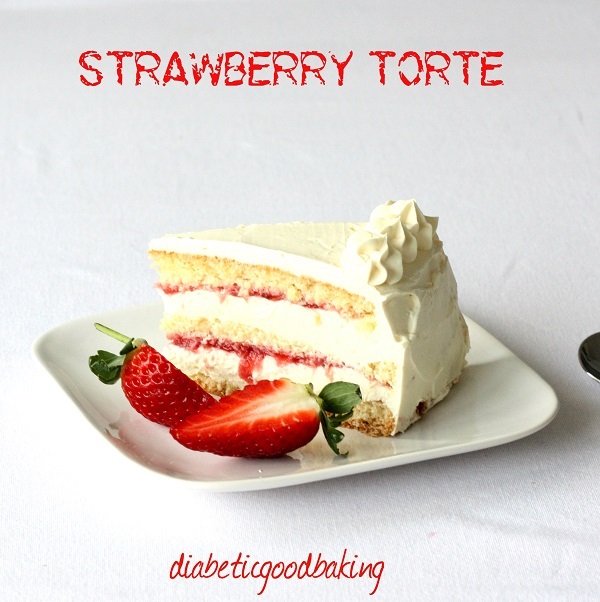 Today it’s a strawberry torte. Beautiful, elegant and mouth watering cake that it’s not very complicated to make (it just looks like that!). 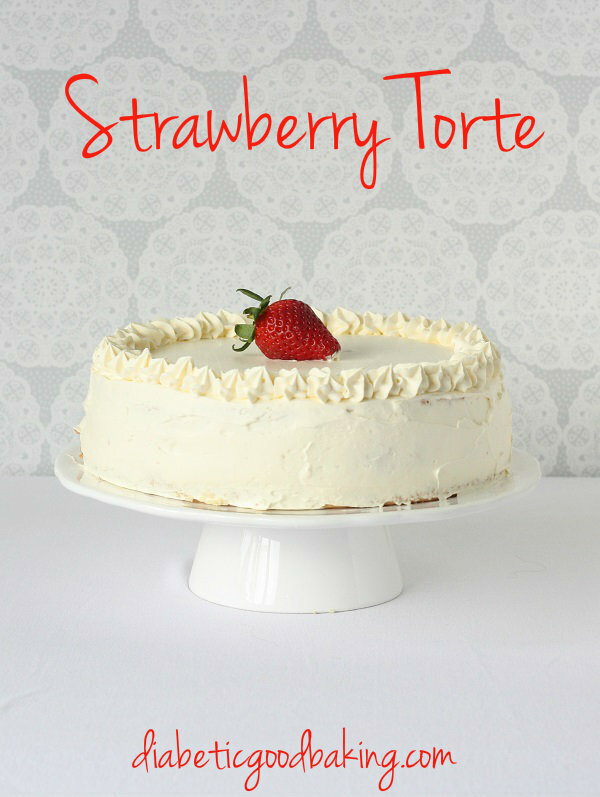 All you need to do is to bake sponge cake and fill it with whipped cream and mascarpone. For the sponge cake I used ground almond and potato starch. I know, potato start is not low carb at all, but it’s necessary to use it in order to make a nice sponge for a torte. There is only 65 g so the whole cake it’s still low carb. If you are not very experience baker and you don’t feel confident to cut the cake into three thin layers, cut it in half. IMPORTANT: For the filling I used 500g mascarpone and 400g whipped cream. If you prefer to make this cake less rich, I would recommend using less (reduce maybe by 100g, both cream and mascarpone). If you cut the cake in half (not three layers) definitely reduce the filling. Half cup of mixed water with lemon juice (proportion 50:50). If you like you can add 2 tbsps. of vodka or lemon liqueur (remember liqueur contains sugar). Gently fold in the almonds and potato starch. Pour thee batter into prepared tin and bake for about 40 minutes (check with the skewer if the cake is ready). Set aside to cool down. Cut strawberries into pieces, add xylitol and cook for few minutes. Add lemon juice, dissolved potato starch and stir. Remove from the heat and add dissolved gelatine. Set aside to cool down. Whip the cream, add xylitol, mascarpone and mix briefly. Cut the cake horizontally into three layers. Place bottom layer on a serving plate, brush generously with lemon ‘syrup’. Spread around 4 tbsp. of cream and then on top of it spread half of strawberry filling. Cover with the second layer and repeat. Top with remaining layer and brush it with lemon syrup. Frost the cake with remaining cream and decorate.